Background: The high workload of nurses in hospitals has been identified as a patient safety and worker stress problem. Psychological empowerment is a motivational concept demonstrated in four dimensions: meaning, competence, self-determination, and impact. Objective: This study investigated the relationship between nurses’ workloads and psychological empowerment using structural equations modeling (SEM). Methods: This descriptive correlation study was conducted using SEM. The study was conducted at 17 public hospitals affiliated with Iran University of Medical Sciences (IUMS) in the city of Tehran. The population study was nurses employed in critical care departments. Two questionnaires were used to gather data: the NASA and the Psychological Empowerment Questionnaires. Differences in categorical variables were analyzed using one-way analysis of variance (ANOVA). Confirmatory factor analyses were used to confirm the relationships between latent variables and indicator variables; SEM was used to find the direct and indirect effects of nurse’s workload on psychological empowerment. Data analyses were performed using SPSS 18, and all models were tested in LISREL 8.8. Results: Correlations among indicators of nurse’s workload showed that highest correlations were performances (0.61), and the highest correlations among psychological empowerment were competence (0.03). The overall correlations among nursing workloads and psychological empowerment were 0.74. The proposed structural model fit was acceptable (χ2 = 525.5, df = 89, RMSEA = 0.13, GFI = 0.91). Conclusion: Increasing the workload of nurses in hospitals will better engage the nurses and allow them to face new problems they encounter in their jobs. Tourangeau A, Patterson E, Rowe A, et al. Factors influencing home care nurse intention to remain employed. J Nurs Manag. 2014;22(8):1015-1026. doi: 10.1111/jonm.12104. Frey B, Hossle JP, Seiler Sigrist M, Cannizzaro V. Measurement of resident workload in paediatric intensive care. Swiss Med Wkly. 2013;27(143):w13844. doi: 10.4414/smw.2013.13844. Hoonakker P, Carayon P, Gurses AP, et al. Measuring workload of ICU nurses with a questionnaire survey: the NASA Task Load Index (TLX). IIE Trans Healthc Syst Eng. 2011;1(2):131-143. doi: 10.1080/19488300.2011.609524. Nelson J, Valentino L, Iacono L, Ropollo P, Cineas N, Stuart S. Measuring workload of nurses on a neurosurgical care unit. J Neurosci Nurs. 2015;47(3):E9-19. doi: 10.1097/JNN.0000000000000136. Kowitlawakul Y, Leong BS, Lua A, Aroos R, Wong JJ, Koh N, et al. Observation of handover process in an intensive care unit (ICU): barriers and quality improvement strategy. Int J Qual Health Care. 2015;27(2):99-104. doi: 10.1093/intqhc/mzv002. Danque CT, Serafica R, Lane SH, Hodge MA. Incivility in the hospital environment: the nurse educator–staff nurse relationship. J Nurses Prof Dev. 2014;30(4):185-189. doi: 10.1097/NND.0000000000000059. Grafen M, Mackenzie FC. Development and early application of the Scottish Community Nursing Workload Measurement Tool. Br J Community Nurs. 2015;20(2):89-92. doi: 10.12968/bjcn.2015.20.2.89. Roch G, Dubois CA, Clarke SP. 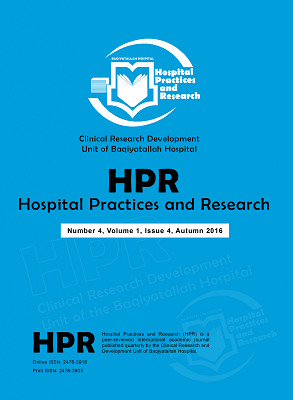 Organizational climate and hospital nurses’ caring practices: a mixed methods study. Res Nurs Health. 2014;37(3):229-240. doi: 10.1002/nur.21596. Hoonakker P, Carayon P, Gurses A, et al. Measuring workload of icu nurses with a questionnaire survey: The NASA Task Load Index (TLX). IIE Trans Healthc Syst Eng. 2011;1(2):131-143. doi: 10.1080/19488300.2011.609524. Havaei F, Dahinten VS, MacPhee M. Psychological competence: the key to leader empowering behaviors. J Nurs Adm. 2014;44(5):276-83. doi: 10.1097/NNA.0000000000000067. Wang S, Liu Y. Impact of professional nursing practice environment and psychological empowerment on nurses’ work engagement: test of structural equation modelling. J Nurs Manag. 2015;23(3):287-296. doi: 10.1111/jonm.12124. Firth BM, Chen G, Kirkman BL, Kim K. Newcomers abroad: Expatriate adaptation during early phases of international assignments. Acad Manage J. 2014;57(1):280-300. doi: 10.5465/amj.2011.0574. Spreitzer GM. Psychological empowerment in the workplace: Dimensions, measurement, and validation. Acad Manage J. 1995; 38(5):1442-65. doi: 10.2307/256865. MacCallum RC, Austin JT. Applications of structural equation modeling in psychological research. Annu Rev Psychol. 2000;51:201-26. doi: 10.1146/annurev.psych.51.1.201. Guo J, Wang T-F, Liao J, Huang C. Efficacy of the Theory of Planned Behavior in Predicting Breastfeeding: Meta-analysis and Structural Equation Modeling. Appl Nurs Res. 2016;29:37-42. doi: 10.1016/j.apnr.2015.03.016. Spence Laschinger HK, Fida R. Linking nurses’ perceptions of patient care quality to job satisfaction: the role of authentic leadership and empowering professional practice environments. J Nurs Adm. 2015;45(5):276-83. doi: 10.1097/NNA.0000000000000198. Schreiber JB. Core reporting practices in structural equation modeling. Res Social Adm Pharm. 2008;4(2):83-97. doi: 0.1016/j.sapharm.2007.04.003. Carayon P, Alvarado CJ. Workload and patient safety among critical care nurses. Crit Care Nurs Clin North Am. 2007;19(2):121-9. doi: 10.1016/j.ccell.2007.02.001. Crane PW, Zhou Y, Sun Y, Lin L, Schneider SM. Entropy: a conceptual approach to measuring situation-level workload within emergency care and its relationship to emergency department crowding. J Emerg Med. 2014;46(4):551-559. doi: 10.1016/j.jemermed.2013.08.113. Lin SH, Liao WC, Chen MY, Fan JY. The impact of shift work on nurses’ job stress, sleep quality and self perceived health status. J Nurs Manag. 2014;22(5):604-12. doi: 10.1111/jonm.12020. Surani S, Hesselbacher S, Guntupalli B, Surani S, Subramanian S. Sleep quality and vigilance differ among inpatient nurses based on the unit setting and shift worked. J Patient Saf. 2015;11(4):215-20. doi: 10.1097/PTS.0000000000000089. Ouyang YQ, Zhou WB, Qu H. The impact of psychological empowerment and organizational commitment on Chinese nurses’ job satisfaction. Contemp Nurs. 2015;50(1):80-91. doi: 10.1080/10376178.2015.1010253. Read EA, Laschinger HK. The influence of authentic leadership and empowerment on nurses’ relational social capital, mental health and job satisfaction over the first year of practice. J Adv Nurs. 2015;71(7):1611-1623. doi: 10.1111/jan.12625. Slatyer S, Williams AM, Michael R. Seeking empowerment to comfort patients in severe pain: a grounded theory study of the nurse’s perspective. Int J Nurs Stud. 2015;52(1):229-239. doi: 10.1016/j.ijnurstu.2014.06.010. Van Bogaert P, Peremans L, Diltour N, et al. Staff Nurses’ Perceptions and Experiences about Structural Empowerment: A Qualitative Phenomenological Study. PLoS One. 2016;11(4):e0152654. doi: 10.1371/journal.pone.0152654. Mozaffari N, Peyrovi H, Nayeri ND. The social well-being of nurses shows a thirst for a holistic support: a qualitative study. Int J Qual Stud Health Well-being. 2015;10:27749. doi: 10.3402/qhw.v10.27749. Kang H. Geriatric hospital nurses’ perceived barriers to research utilization and empowerment. Asian Nurs Res (Korean Soc Nurs Sci). 2015;9(1):65-72. doi: 10.1016/j.anr.2014.11.005. Kennedy S, Hardiker N, Staniland K. Empowerment an essential ingredient in the clinical environment: A review of the literature. Nurse Educ Today. 2015;35(3):487-92. doi: 10.1016/j.nedt.2014.11.014. Sansoni J, De Caro W, Marucci AR, Sorrentino M, Mayner L, Lancia L. Nurses’ Job satisfaction: an Italian study. Ann Ig. 2016;28(1):58-69. doi:10.7416/ai.2016.2085. Atefi N, Abdullah KL, Wong LP, Mazlom R. Factors influencing registered nurses perception of their overall job satisfaction: a qualitative study. Int Nurs Rev. 2014;61(3):352-60. doi: 10.1111/inr.12112.